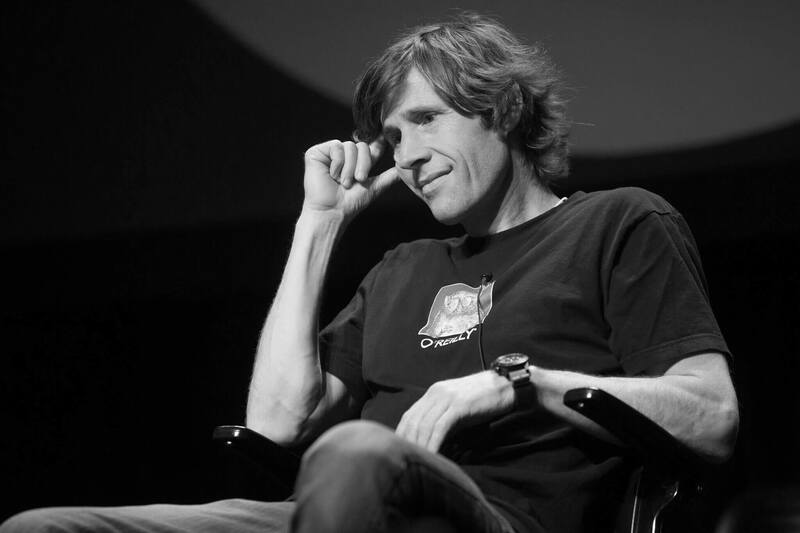 Rodney Mullen is a skateboarding icon; he's been called the "Godfather of Street Skateboarding." But he's also an entrepreneur. He helped found World Industries and Dwindle Distribution. In 2002, he and his partners sold their company to Globe Shoes for $46 million dollars. I've been following Rodney for a long time, and I think he's got lots of good advice for bootstrappers and startup folks. Here are some of my favorite lessons I've learned from him. For years, Rodney was winning every contest he entered. But once he was at the top it didn't feel like winning anymore. He was just defending his position as a champion. And when he became defensive, it was hard to create. Over 11 years, I won 35 out of 36 contests. Wait, "winning" isn't the right word. I only won once. The rest of the time I was just defending. Many startup founders want to be #1 in their industry. What they don't realize is how hard it is at the top. Everyone has their sights on you. You are the incumbent that everyone wants to beat. And instead of innovating, you spend your time playing defence. You get into this turtle posture. It usurped the joy of what I loved to do, because I was no longer doing it to create and have fun. Ironically, he wasn't able to rediscover his creativity until he lost his position as the #1 skateboarder in the world. In the 1980s, Rodney's form of skateboarding (freestyle) died. A new style of street skating had emerged, and it killed his career. A lifetime of fame, built over years, disappeared. Suddenly it was over for me. They took my pro-model off the shelf: that's like publicly pronouncing that your career is dead. The crazy thing was that there was a really liberating sense about it. What drew me to skateboarding, the freedom, was restored. Now I could just create things. This couldn't be more true for us in tech! You can spend your whole career focusing on a specific technology, only to have it become irrelevant overnight. Remember Flash? Or perhaps you've built an audience on a topic that suddenly loses popularity. I love Mullen's attitude here: instead of just giving up, he reinvented himself. What I did have was a deep well of tricks that I could draw from that were rooted in my old skills. I had an infrastructure to build on. So as humbling and rotten as it was… I began over again. The key is to look at what you can carryover from your past experience. What assets do you have from the past, that you could carry into the future? You'll still need to learn new skills, but you'll have a foundation to build on. Rodney thinks there's a parallel between hackers and the skateboard community. We take what other guys do, and we make it our own, and then we contribute back to the community in a way that edifies the community. The summation of that gives us something that we could never achieve as an individual. The tech culture is filled with a strong individualism, and yet we've managed to create vibrant communities where individuals contribute to a greater whole. Rodney points out that contributing to his community has been his life's most meaningful achievement. We as geeks, founders, bootstrappers, and product people, should have a similar attitude. When we openly share what we've learned, the whole community benefits. The tech industry can be an echo chamber. Often, we're only listening to people similar to us. But when we do this, we miss out on perspectives that can be helpful. Outside viewpoints can bring us fresh ideas. Geeks, hackers, and founders can learn a lot from a skateboarder like Rodney. This post was originally published on November 20th, 2012. It's been updated since then.